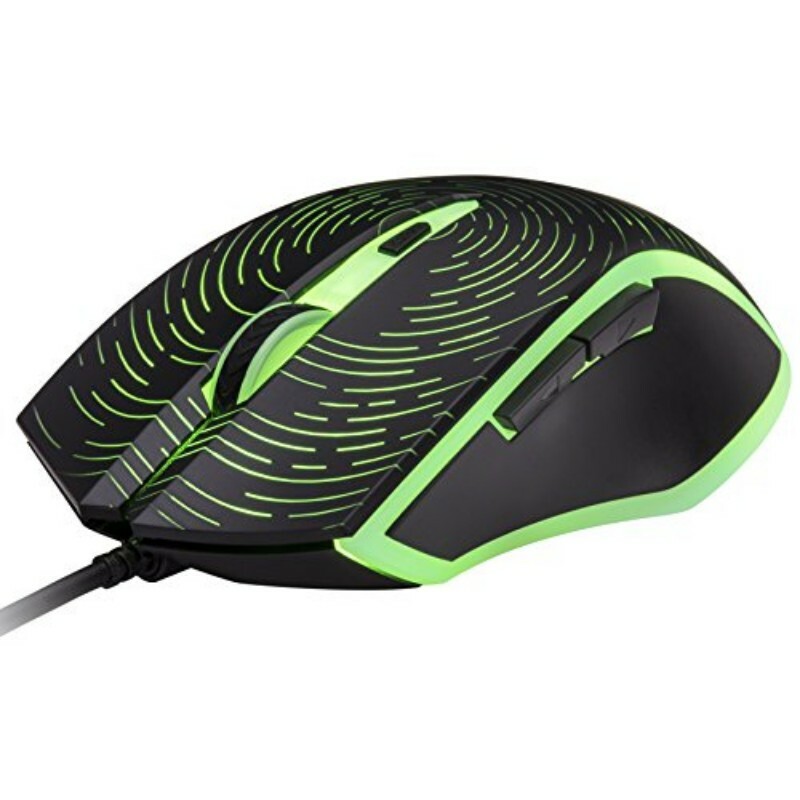 RGB Backlight Gaming Mouse: ROSEWILL NEON M53 is a RGB backlit LED mouse with a stylish design to give an immersive gaming experience to all gamers. 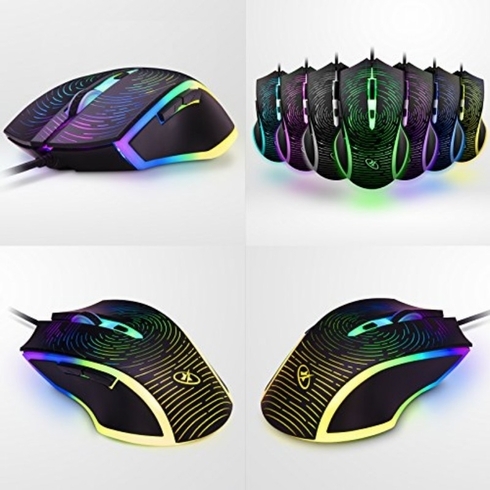 The surround RGB LED of the gaming mouse is the special pattern to share with gamers. Lightweight & Ergonomic Design: The ergonomics of the ROSEWILL optical USB wired gaming mouse provides large or small handed gamers the most comfortable gaming experience ever, while the lightweight construction of prevents fatigue during long hours of gameplay. 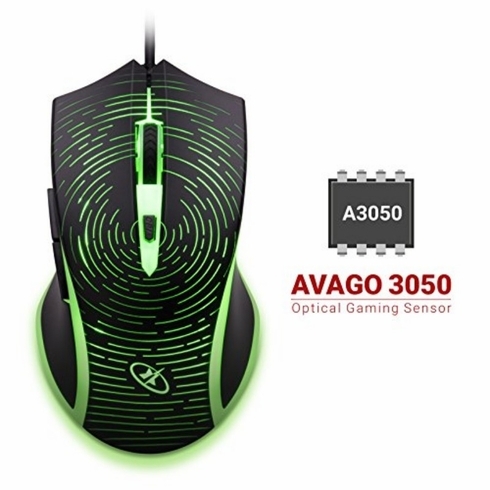 Professional Avago 3050 Sensor: With professional optical gaming sensor, this excellent LED gaming mouse gives gamers accurate and precise on-screen control in fast paced FPS games such as CS:GO. Adjustable DPI and 6 Button Click: The DPI and polling rate selectors of the laser gaming mouse allow for quick on-the-fly changes to sensitivity for absolute command in every gaming situation. I've had this mouse on my personal pc for a while now and while i love the colors, it has recently started jittering while not in use. 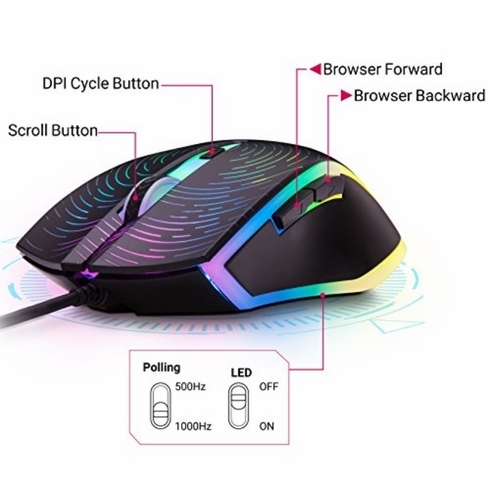 Like it'll move ~5px in any direction every 10 seconds without any warning. This occurs even when i'm nowhere near the desk, so there's no way it's just bumping the desk that's causing this. 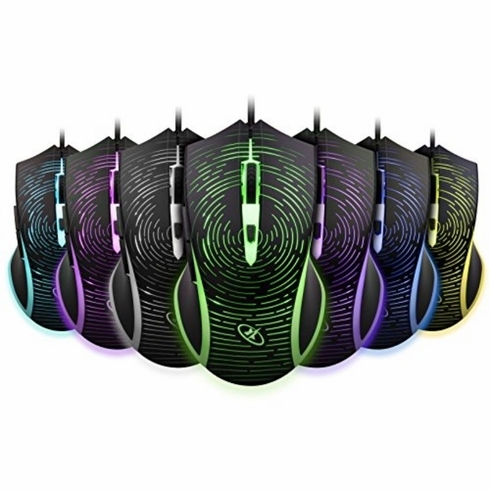 Such a shame since rosewill *typically* makes good products.